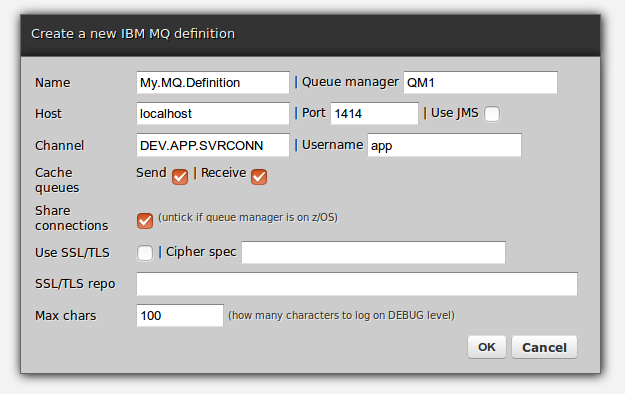 This is part one of a mini-series about working with IBM MQ as a Zato and Python user. 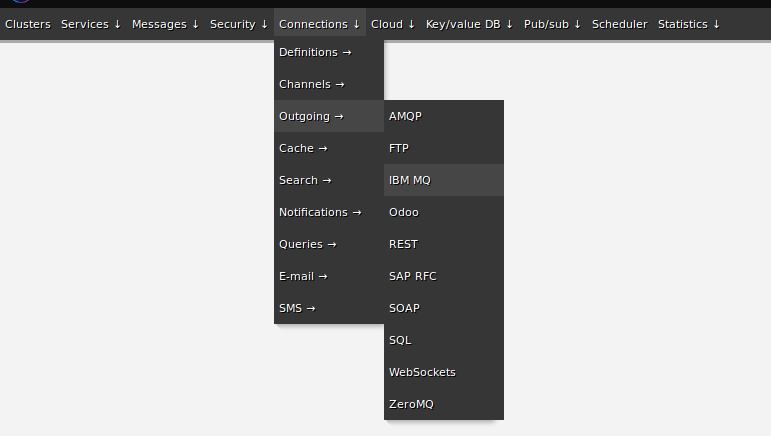 Zato is a Python-based multi-protocol API integration platform, message broker, and backend application server, and IBM MQ is one of the protocols and products that it supports out of the box, making it possible to integrate with IBM MQ systems, including JMS ones, using little or no programming at all. Next, you need to create a Zato environment. The easiest way is to use a quickstart cluster, which sets up a working Zato cluster in one command. Alternatively, you can follow this tutorial that will guide you through the same process in more details. A connection definition is a reusable piece of configuration, a common set of information that can be used in more than one place. In this context, it allows you to create both incoming MQ connections (Zato channels) and outgoing ones. Note that Zato channels share the name with MQ channels, but they are an unrelated concept and only distantly similar. Create a definition by filling out the form as below. You need to change the connection's password because, by default, it is a randomly generated one that cannot be used. 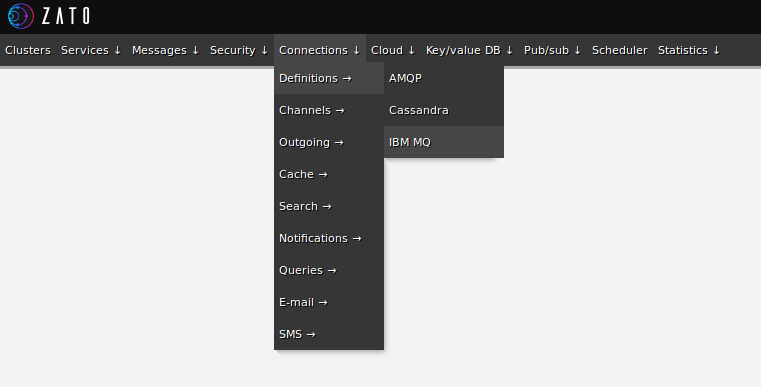 Afterward, you can click 'Ping' to confirm that connections to your remote queue manager work correctly. Once a connection is defined, it is possible to start to use it from Python code but in this post, let's send a test message directly from web-admin. A Zato channel acts as a message listener, accepting messages from a particular queue and invoking a user-defined API service that acts accordingly, e.g. by transforming the message and delivering it to intended recipients. No programming is needed to accept messages from the queue — the very fact of creating a channel lets Zato automatically consume messages in the background from the channel's queue. To send a message to Zato, below, MQ's own command line utility is used and the full command that can be executed from the system that MQ runs on is /opt/mqm/samp/bin/amqsput DEV.QUEUE.1 QM1. If you do not have access to MQ command line, you can simply create an outgoing connection in Zato and use the Send message form in web-admin to send a message that will be received by a channel. It is not shown here, but it would work just as fine. That's it! Your Zato installation is configured to send and accept IBM MQ-originating messages, and, in the next part, Python services will be used to actually process the messages in a useful manner, e.g. by enriching their contents and sending them out to other applications. For more information, visit the main documentation site or go straight to the tutorial and stay tuned for the next article. Published at DZone with permission of Dariusz Suchojad . See the original article here.